The telemedicine project was set up with the aim of making diabetes health care available, accessible and affordable to the rural populace. The project fits in with Non-communicable Diseases Surveillance Project of the Indian Council of Medical Research (ICMR), the World Health Organization (WHO) and the Government of India. In keeping with this objective the ‘Sai Rural Diabetes Specialities Centre’ – a unit of Dr. Mohan’s DSC was set up at Chunampet in Kancheepuram District, Tamilnadu, about 100 kms away from Chennai in 2007. The telemedicine facility, one of the first of its kind in India, tracks the disease burden in rural areas and explores innovative healthcare models that are both accessible and affordable to the rural population. To make diabetes health care available, accessible and affordable to rural people in the design, conduction, analysis, interpretation and dissemination of clinical trials. To facilitate community participation and empowerment in the area of “adopting a healthy lifestyle”. To screen for and treat pre-diabetes, diabetes and the complications due to diabetes in particular eye and foot complications. 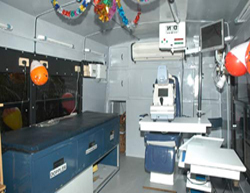 The facilities at this rural diabetes centre is also utilized for ‘the MDRF – WDF Rural Diabetes Telemedicine Project’ implemented by the Madras Diabetes Research Foundation (MDRF) at Chunampet with the support of the World Diabetes Foundation (WDF), Denmark and the Indian Space Research Organization [ISRO], Bangalore. 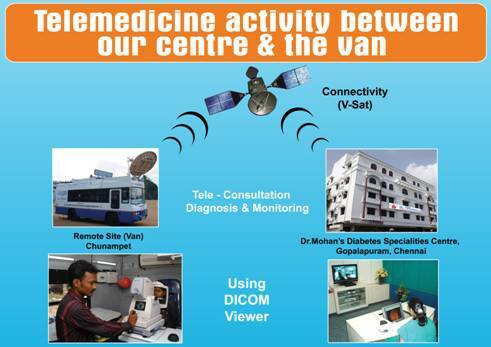 ISRO supports the project by providing V-sat connectivity for enabling transmission of data and images with all the necessary hardware required for the telemedicine facility. This rural centre monitors and treats diabetes and its associated complications for the poor and needy in and around Chunampet. The consistent care it has offered since its inception has caused it to be selected as a Nodal Centre of Excellence for rural diabetes care in India. 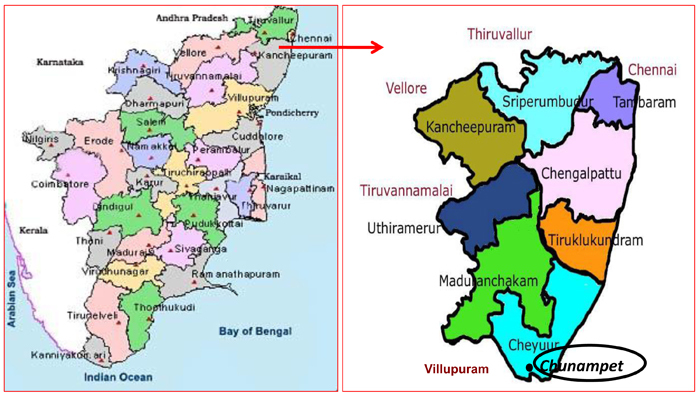 The MDRF/WDF rural diabetes telemedicine project is a three year project, being conducted in a cluster of villages at Chunampet in Kancheepuram District, Tamilnadu about 100 Kms from Chennai. The expected numbers of individuals to be benefited from the awareness programme are nearly 200,000 individuals. The projects also intends to empower the local people especially women and youth (~50 individuals) to become educators and spokespersons teaching fellow rural individuals how to adopt a healthy lifestyle. To implement prevention of diabetes at the Primary, Secondary and Tertiary level in a rural area in Tamil Nadu. To encourage community participation and empowering the local people especially women and youth (~50 individuals) to become educators and spokespersons. To screen for diabetes (self reported plus newly detected) and ‘pre-diabetes’ i.e. impaired glucose tolerance in ~50,000 individuals aged >20 yrs. To screen for complications due to diabetes in particular eye and foot complications in ~ 3000 diabetic subjects in rural areas using telemedicine as a novel tool. To improve access to diabetes health care including screening and treatment of its complications in rural India by constructing a Rural Diabetes Centre at Chunampet. 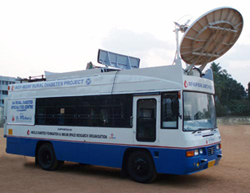 The project is expected to have a profound and immediate benefit to the rural community. It will serve as a model in community based diabetes prevention programs for other rural areas in India and other developing countries. It will serve to increases awareness on diabetes and its associated complications. It has the ability to detection undiagnosed diabetes and thereby enable the estimation of the true prevalence of diabetes and its complications in rural areas in India.